Pure Sativa marijuana strains will give you a complete “head high” while Sativa (with some Indica mixed in) will give a head high and body stone mixed in. Pure Indica, on the other hand will give marijuana users a complete “body stone” while Indica (with some Sativa mixed in) will give a body stone with head high mixed in. Ruderalisis a somewhat problematic plant which does not produce large quantities of THC and won’t flower like the other species therefore most growers consider it to be sub-standard. When growing marijuana, choose your seeds based on the high that you would like to achieve and check to see whether the strain is pure or a ratio and what the ratio is. Apart from the high type you also need to consider the potency of the seeds in addition to the expected height of the plant. For instance if the strain will grow very tall there is no sense in growing it indoors whereas if the strain is shorter then you have to consider the competition that it will face with other plants for light when growing outdoors. Also, for those that opt for outdoor growing, keep your climate in mind. Growing marijuana in Colorado vs growing it in Washington can have more dramatic effects on the outcome of the crop than many might anticipate. 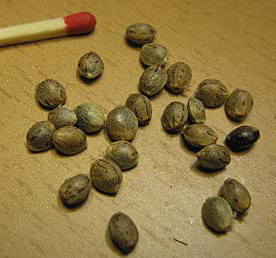 To get the best marijuana seeds you should ask someone who grows the type of weed that you enjoyed smoking. You can also search the internet for seed-banks with great reviews or visit your local marijuana dispensary. White Widow is my favorite marijuana strains. I also like Big Bud and Bubblegum marijuana seeds.